So I know I've disappeared for a bit! After the TV show taping on Monday, I had my radio tour on Wednesday then a complete revamp of OK! 's July cover and cover story on Thursday, and a spa checkout on Friday. Whew! When I'm feeling awfully tired, I go shopping online. Finding goodies online just really revitalizes me! But I found these lovely bags on eBay and one of them is quite pricey so now, instead of feeling happy, I'm getting all stressed again. 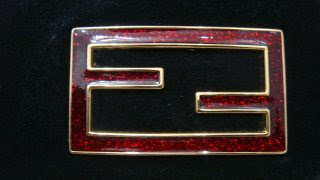 I love Fendi mostly because they feature my initial on almost all their bags. 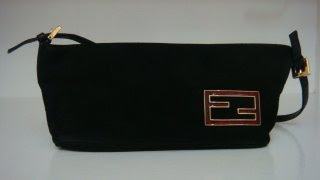 This Fendi pochette has the double F logo in shiny red, which makes it all the more fab. And at just PHP 2,400 (USD 51), it's calling out to me every day. However, this bag is calling out to me every single minute. 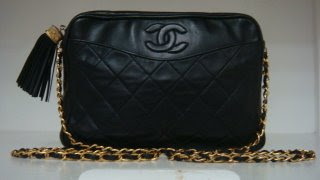 I found this vintage Chanel quilted tasseled bag. It's from the mid-'80s and I just love it. Problem is I don't love the PHP 16,500 (USD 350) price. I know that's cheap for a Chanel bag but it costs as much as one of my Ghosts. And, for a journalist like me, that's still an insane price for a bag. I don't mind paying for laptops and furniture, but for a bag...? Sigh, but no. P.S. Also an online shopper? Do check out Pretty Peddler, this new beauty blog which sells the best beauty products for much less! Go for the Chanel bag, silly girl! Oh that Chanel. Want. NEED. WendyB! I'm really really REALLY thinking about it! Definitely go for the Chanel Bag, it's such a great vintage piece that would go well with so many outfits. The Chanel is indeed a classic. It goes with everything. I love online shopping! MissFriendz, Annie and Duni, it's just such a huge price to pay for such a little bag =( I'm still thinking about it! Why is that Fendi so cheap? Is the Chanel owner still alive? If I were you, I'd save up na lang for a brand new one that includes a trip to the Chanel store, the whole shebang, watching them wrap it for you, etc. I was going to blog about this but I haven't finished the post: Please please promise you won't join the hoards who tote LV Speedy bags! Hiya neighbor, the girl got them from her mom and grandma and she's selling them so she can buy NEW ones. Don't worry, I'm not an LV fan. Too many people carrying them, for one. Looks so commonplace. And even the Chanel... I realize I'm not a classic style kinda girl. I'm more of a Gucci and Fendi girl. Still, I won't say no if I get them for free! I love Chanel. That purse is divine! So happy with my eBay finds! 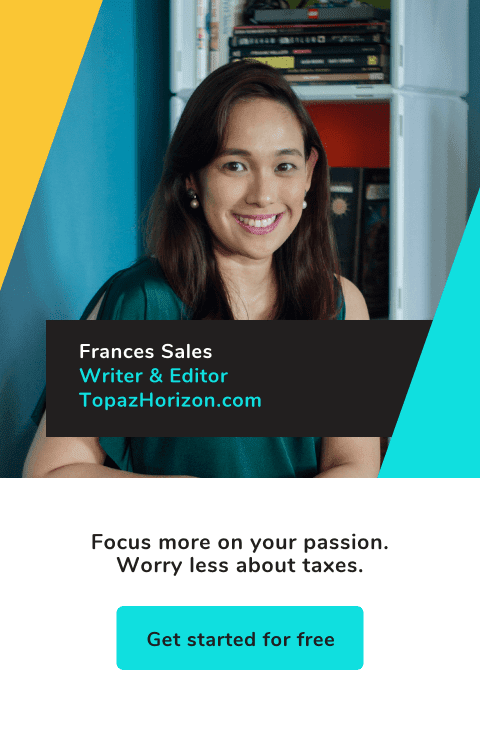 Thank you, my dearest readers!